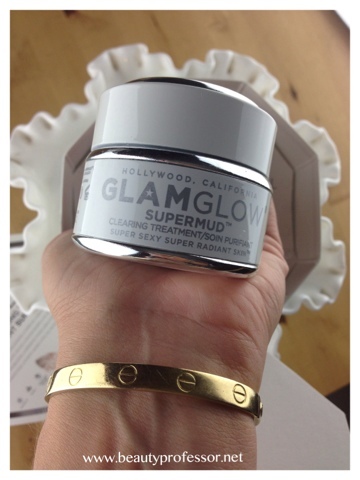 Above: The packaging on the Glam Glow Supermud Mask is impeccably pristine. A couple of weeks ago, within my first Office Hours post, I mentioned that I had been trying a couple of new skincare products, including Glam Glow Supermud Mask and the Quasar MD Plus laser. These state- of-the-art accouterments, while undeniably exciting, required a reasonable testing period before I felt like I could officially weigh in on their efficacy and overall results. Nearly a month has passed (summer...why must you be so fleeting?!) and I am ready to share my experience with both! Above: Glam Glow Supermud, which retails for $69, comes in a jar that houses 17 full face treatments or approximately 1000 spot treatments. 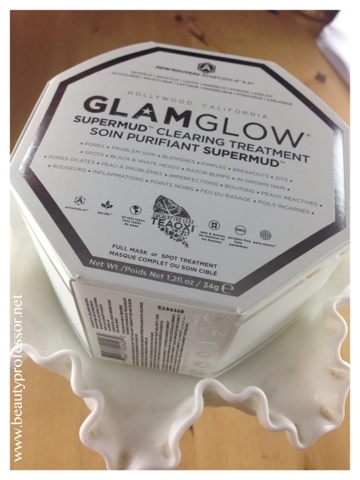 The Glam Glow Supermud Mask has generated a ton of buzz since its release to the mass market in 2011. Developed by Glenn and Shannon Dellimore to create the instantly camera-ready skin that is constantly in demand by the Hollywood entertainment industry, this rich mud truly transforms the skin. 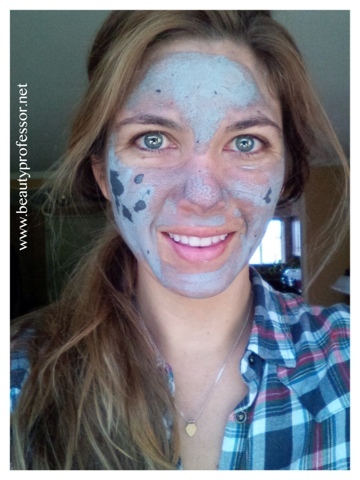 When using it as a full mask, my pores appear smaller and my skin feels smoother and more balanced. I've also used it as an overnight spot treatment, which effectively diminished a pesky rogue blemish that developed while traveling last week. I am in earnest when I say that the bump on my chin had completely VANISHED by morning! PORE-MATRIX™NEW PORE-MATRIX™ Our Activated-X Charcoal is an Xtreme absorption carbon, attracting toxic substances into its mass up to 500 times its volume from all skin types, within the deepest & toughest areas. Our new proprietary K17-Clay™ will better extract & encapsulate excess sebum oils, bacteria & toxins in a controlled stasis state, revealing a Pore-Matrix™ of extraction dots & areas, ready to be washed away for seemingly poreless skin. 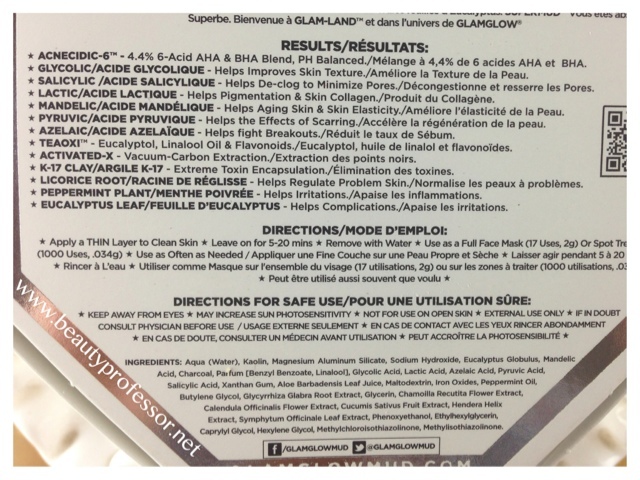 Above: The "back matter'" for the Glam Glow Supermud Mask, including product claims, ingredient results and the full ingredients list. Below: The following images depict my experience with the Glam Glow Supermud Mask. As the directions suggest, I applied a thin layer to clean skin and left it on for 20 minutes. Even after the mud dried, my skin felt comfortable! A few splashes of warm water easily removed the mask, yielding baby soft, perfectly balanced skin. Above: The Supermud itself is a deep charcoal black. Above: Mud freshly applied and in the drying stages. Above: This tingles ever so slightly and dries comfortably. I had to remind myself to remove it because I forgot it was still on my face! Above: The after-effects include smoother, clearer, more balanced skin...my pores also appeared to be smaller after just one application. Above: I am extremely happy with the Glam Glow Mask...integrating it into my skin care routine has been effortless, and the results, remarkable! Above: The Quasar MD Plus comes in a protective travel case and boasts a five year warranty. The Quasar MD Plus laser, which retails for $795, is definitely a skincare investment. In the past, I would have balked at the idea of embracing a skin care accessory in said price range. However, when I ponder the amount of money I've spent on creams, serums, gels and lotions, all in the pursuit of healthy and ageless skin, the total easily becomes commensurate and even exceeds the cost of the laser. Cost aside, one is likely compelled to ask, how effective is the Quasar MD Plus and are the results worth it? I would like to note that my experience is still in progress, though, I have been able to observe positive results thus far. Designed to use red light to reverse the signs of aging (e.g., uneven skin tone, fine lines and wrinkles on both the face and sensitive eye area), stimulate collagen production and smooth the skin, the Quasar MD Plus is the most powerful Class II laser medical device available to private consumers. 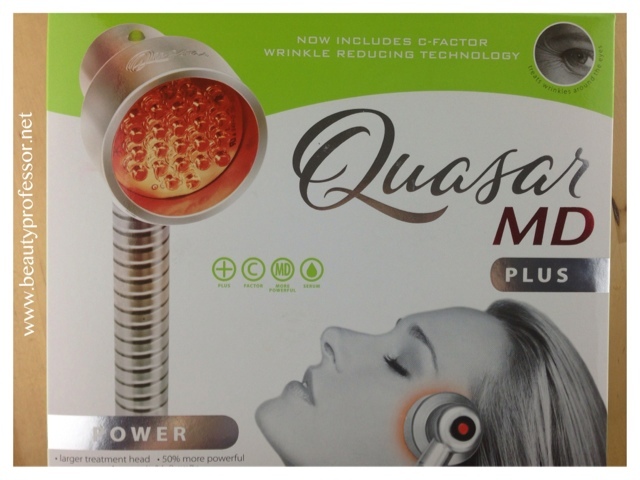 I own a Baby Quasar (bought years ago, when Quasar first debuted in the beauty market) and, when I contrast my experience with the two options, can attest to the fact that the MD Plus' larger, more potent light head makes treatment easier and yields more tangible results! Quasar Light Therapy is a safe, natural solution with no negative side effects. Quasar MD PLUS works on all skin types and tones, requires no downtime, and has the best reputation, warranty, and support compared to competitors. Let Quasar kiss away your wrinkles with age-defying technology. Above: The Quasar MD Plus (with case in the foreground). I have been using the Quasar MD Plus as often as my schedule allows. Typically, I do a treatment once I'm in bed (but before I've applied my final skincare for the night). The light is warm (but not hot!) and I find the experience to be quite relaxing. I love the fact that I can be reading, watching TV or talking with my husband while using the laser in three minute increments. I start with my forehead area and slowly move it across my skin...three minutes passes very quickly. Then, I move onto each cheek area (which includes the upper sides of my orbital area where crows feet develop) and close with a session on my chin and lips (collagen production must be taken advantage of, no?!). 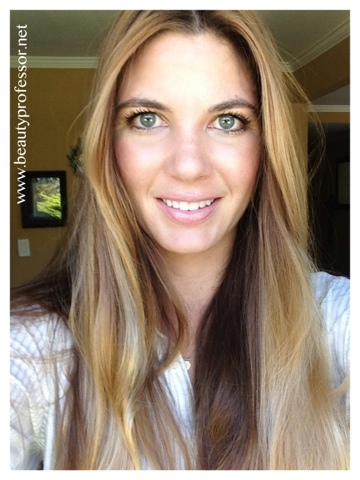 In the morning following treatment, my skin looks clear and bright and feels extraordinarily soft and supple! Above and below: I am extremely pleased with the soft, smooth, balanced and even skin that my regular sessions with the Quasar MD Plus have been yielding. 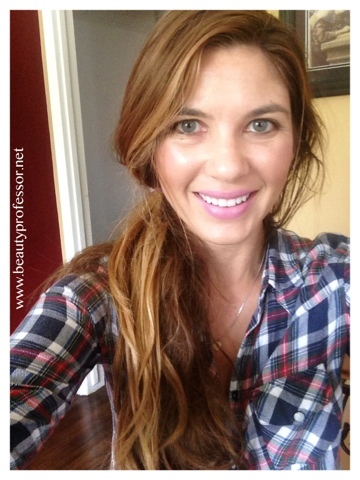 Bottom Line: The Glam Glow Supermud Mask and Quasar MD Plus have been incredible additions to my skincare routine. I love how my skin feels smoother, brighter and more refined with continued use and recommend both of these future-age wonders to those on the hunt for unique and effective skin care options! What are some of YOUR skin care innovations? Have you tried the Glam Glow Supermud Mask or one of the Quasar lasers? Thoughts? 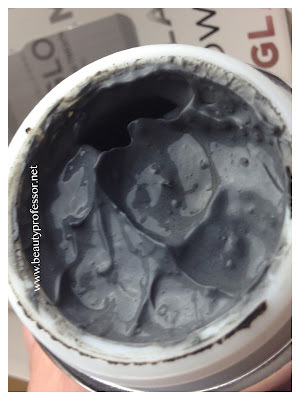 I was less impressed by glamglow, I felt it made a lot of claims that it didn't live up to-the results I experienced were no better than my 4 dollar tube of St Ives clay mask. So happy I only purchased the small jar rather than the full size. Sorry you had a less stellar experience with the Glam Glow mask! I tend to rely on my regular skincare to give me consistent favorable results and use a mask occasionally to help with refinement etc. That being said, this gave me tangible results as a spot treatment! Hi B.P Happy sunday! 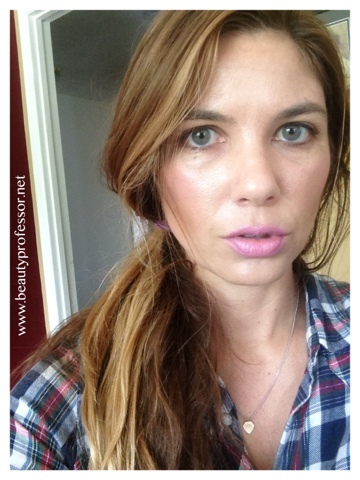 Love the review on Glam glow as I too have read much buzz about it. Having tried so many skincare creams, masks, peel pads, I'm glad I got review from u before purshasing it. I remember a comment I left u before about how great your skin has been looking & I think these may be the culprits. I was giving credit to the Kanebo which I believe contributes to it because I too have seen such a change in my skin. But I am without these 2 products & they are making a lovely impact on your skin. Can't wait for all the new stuff you have for us. You've been such a busy bee, haha, this summer & as always, I thank you. Happy Sunday to you, too, Lynn! So glad you enjoyed the review...as I mentioned above, it was stunned by the Glam Glow mask's efficacy as a spot treatment! I am still using the Kanebo regularly...have it narrowed down to the Prime Solution and Cellular Performance Cream and couldn't be happier with how it is working. Add the Quasar MD Plus into the mix and my skin is getting a good chance at redemption from some of my sunscreen-free years ; ) Thank you for the compliment!! This summer is flying by much too quickly...I am so thankful for the time I've had and hope I don't go crazy once my work schedule ramps up again! Tomorrow, my review of the latest Napoleon products (plus a video) goes live! Thanks so much for your thorough, informative and helpful reviews. I've heard a lot of buzz about both products so it's great to hear your opinion. -I am loving the Givenchy Le Prism powder, it really provides a seamless and refined finish to the skin without looking cakey or heavy. -I picked up the Sunday Riley cream foundation and Bionic cream. I am loving the Bionic cream so far (OMG the smell)and it feels glorious on the skin. I would love to hear your thoughts on the best way to apply the foundation as the texture is a little different. -I picked up the Chanel Inspiration Cream blush which is gorgeous and can't wait to try it out. -I also bought the By Terry Misty Rock shadow stick which is sooooo lovely and a great recommendation on your part:). Thank you so much for your fantastic recommendations, great vids and true to life swatches that really make purchasing products so much easier. Your blogs have become a daily necessity and are a welcome relief to the stresses associated with work and study! My pleasure!! It has been so fun to experiment with these products and i was glad to finally have the chance to officially weigh in on them! Your updates brought a smile to my face...it is truly joyous to hear when something I love resonates with my readers and I am thrilled that you are enjoying your latest acquisitions. The Le Prism powder really does have a sensational texture and you can't beat the heavenly scent of Bionic! I've run through Inspiration so quickly that I think I may have to pick up another one this week...it is such a soft and wearable pink. 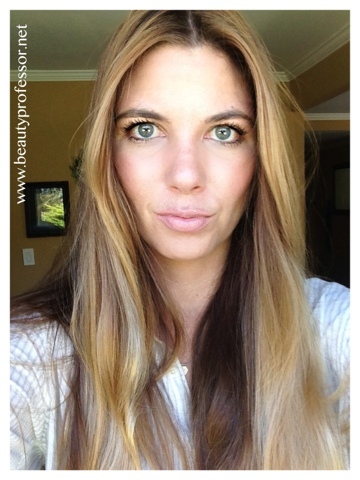 Have you tried applying the Sunday Riley Cream foundation with a damp Beauty Blender yet? Since it is almost gel-like in texture (from my recollection), that might help to distribute and buff it into the skin best. Dear Rachel, having read your glowing review of the Supermud I am aiming to purchase my very first jar this week. But what about the other Glamglow mud masks: should I also pickup the one in the black jar and the eye patches? I do not have any face to face advice on this here in the North East of England. Just the online retailers. What is your opinion and advice? How exciting...this is the first mask I've really enjoyed in a long while! I have to say, I cannot speak to the efficacy of the other versions of the Glam Glow mud because I haven't tried any of them. The Supermud Clearing Treatment has been wonderful for spot treating and an overall facial treatment but I don't know much about the other versions...so sorry! 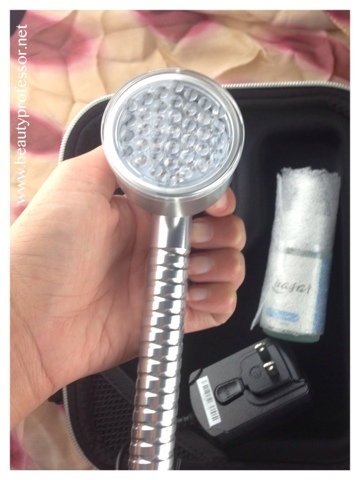 Thanks, Victoria...I am loving this device as a serious skincare option!